On a quest to discover the hidden connections between how we care for our bodies and how we grow our food, Daphne Miller M.D. ventured out of her medical office and traveled to seven innovative family farms around the country. What she discovered changed the way she approached treating many of her patients. 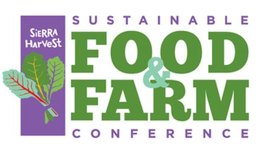 Come to the 2018 Sustainable Food and Farm Conference to hear to how Miller weaves together biomedical science, soil health and stories from her own medical practice to illustrate the health benefits of local, organic farms and gardens. Learn the connection between microbes in the soil and in our bodies; why local, organic farm produce is healthier, and why spending time in organic gardens and farms can promote health in a number of different of ways. Miller is a practicing family physician, author and Associate Clinical Professor at the University of California San Francisco. For the past fifteen years, her leadership, advocacy, research and writing have focused on the connections between food production, ecology and health. Her writings and profiles can be found in many publications including the Washington Post, the New York Times, Vogue, Orion Magazine, Yes! Magazine, Food and Wine, The Guardian UK and Harvard Medical Magazine and JAMA. She is author of Farmacology: Total Health from the Ground Up (HarperCollins 2013), published in four languages and the basis for the award-winning documentary In Search of Balance. She is also the author of The Jungle Effect: The Healthiest Diets from Around the World, Why They Work and How to Make Them Work for You (HarperCollins 2008). Miller is an internationally recognized speaker in the emerging field of planetary health and a leader in the Healthy Parks, Healthy People initiative, an effort spearheaded by the National Parks Service to build linkages between our medical system and our park system. Her 2009 Washington Post article “Take a Hike and Call Me in the Morning” is widely credited with introducing “park prescriptions,” a concept that is rapidly gaining traction across the United States. In 2000, Miller founded WholefamilyMD, the first integrative primary care practice in San Francisco. She is a graduate of Brown University where she majored in medical anthropology. She received her medical degree from Harvard Medical School and completed a residency and NIH-funded research fellowship at the University of California, San Francisco. 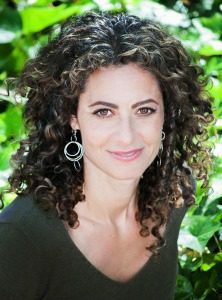 She was a Senior Fellow at the Berkeley Food Institute and a Bravewell Fellow at the University of Arizona Program in Integrative Medicine. She serves as an advisor and/or board member to a number of non-profits, including the Institute of the Golden Gate, Education Outside, Mandela Marketplace and the Edible Schoolyard Foundation and Prevention Institute.